Качественный станок для обжима РВД DX68, поставка во все регионы России. Модель DX68 используется для сборки РВД в машиностроении. Данный станок имеет небольшой и портативный внешний вид, большую мощность, низкий уровень шума и прост в эксплуатации. Величина потери устойчивости регулируется очень точно с помощью шкалы. Model DX68-B pipe locking machine is mainly used for buckling processing for high pressure rubber pipe assembly in the mechanical engineering. It can also be used for buckling the two-way bends, especially large bends and irregular shape bends. Add sufficiently 70 liters of Great Wall brand 46# anti-abrasion hydraulic oil. If the room temperature is lower than 10℃, 10% transformer oil is need to add. 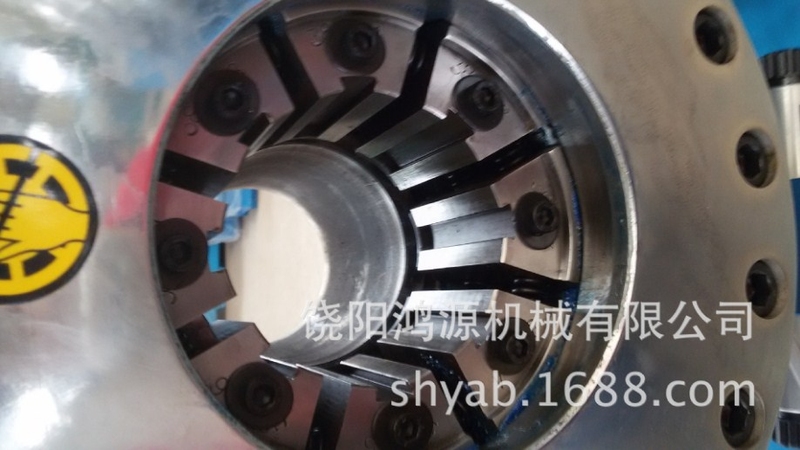 Connect the electric source well as per the machine requirements, to make the direction of the motor rotation to be consistent with the rotation direction marking, and grounding protection shall be done. Regulating the scale The scale is used for regulating the amount of the buckling. When it is regulated clockwise, the buckling amount will decrease, when it is regulated anticlockwise, the buckling amount will increase. The scale is connected together with oil cylinder end cover through three socket head screws and three springs on the scale base. When using a hand to pull the scale (vertical to the oil cylinder end cover direction), the scale can flexibly leave from the oil cylinder end cover. When releasing the scale, the scale will be recovered relying on spring force. Before the machine is turned on, inspect carefully if the scale telescoping is flexible and if the lead connection is reliable. The primary scale is turned within 0 line of the secondary scale, turn the machine on for test run, and observe if all actions are normal. If when the piston conducts reciprocating movement, there is a crawling phenomenon, the bleed screw on the oil cylinder top shall be unscrewed for exhausting air. Pressure regulation The buckling pressure and opening mould pressure will be regulated through two knobs at the back of the oil cylinder (see figure), when it is regulated clockwise, the pressure will increase, when it is regulated anticlockwise, the pressure will decrease (The pressure has already been well regulated when ex-factory). Operation Based on the size of the rubber hose to be buckled, select suitable mould as per the technical parameter reference table of the locking pipe and mount it on the mould base. Regulated well the scale position as per the data in the data in the table, the pipe locking can be done. After pipe locking, use a vernier caliper to mease the outside diameter dimension of the pipe sleeve after buckling to see if it meets the reference table data of the parameter. If it does not meet the data, the scale shall be precisely regulated until it meets the requirements. 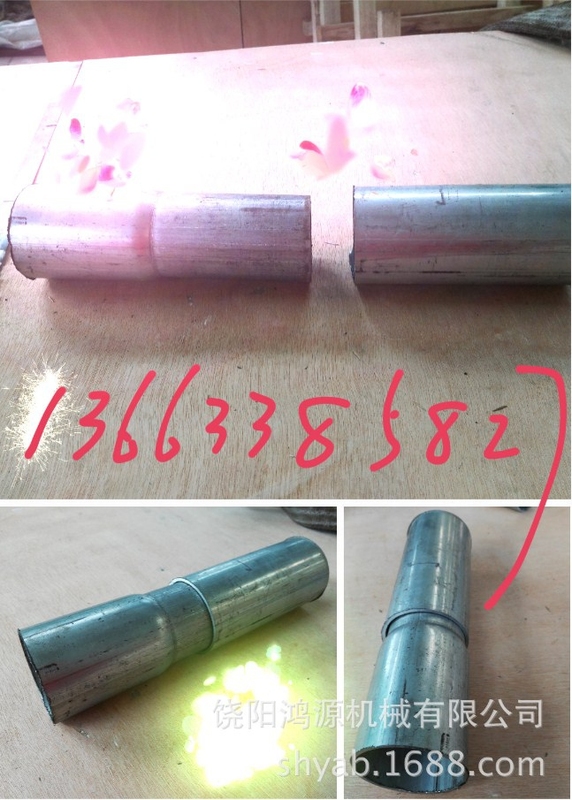 Because the manufactures of the pipe sleeve are different, so, specific dimension, material, hardness etc are certainly not the same. These factors would result different influences on the pipe locking result, therefore, the data in the table is only for reference, the detailed data take the pressure test as the basis. When buckling, make the joint to locate the mould center as much as possible, the joint is not buckled on the hex nut. Prevent tool and other foreign matter from entering the locking head. After the work is finished for each time, the eight-block mould base must be made to extend to the greatest extent, this can make the spring to be at extension status. If not, the spring will be damage. When working, the hand should not stretch into the locking head. The power supply must be switched off when maintenance is done.